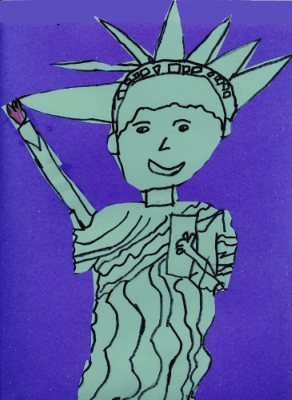 The Statue of Liberty poem for kids, by Paul Perro, tells the story in an entertaining way of how the great Lady Liberty came to New York. 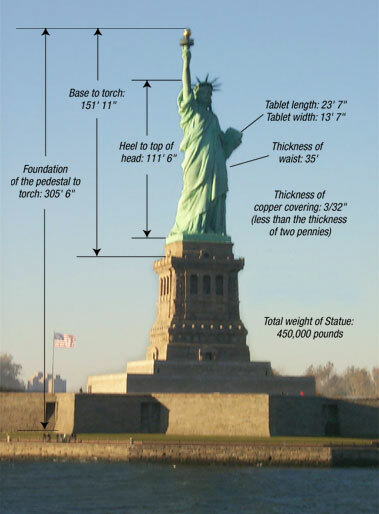 Yes this fun poem answers all your questions about the statue - how big is it, how old is it, where is it, what is it made of, who built it, and why? Every child should be taught about this American icon, and this poem has been enjoyed by thousands of children already. To find out even more interesting facts, keep scrolling down past the end of the poem. The Statue of Liberty was a gift from the French people to the American people to celebrate their alliance during the War of Independence. It was the idea of the Edouard de Laboulaye, a French liberal. He hoped that by honoring the achievements of the Americans, he would inspire the French people to create their own democracy. The sculptor who designed the statue was Auguste Bartholdi. The face of the statue is said to have been modelled on his mother. Alexandre-Gustave Eiffel helped build the internal support. The statue was called "Liberty Enlightening the World" and was designed to be an international symbol of liberty, justice, and democracy. In her right hand, the statue holds a torch that is a symbol of enlightenment. In her left hand she holds a stone tablet, which has a date written on it (in Roman numerals), the date of American Independence - July the 4th 1776. She has a broken shackle and chain at her feet, to symbolize the abolition of slavery. There is a Statue of Liberty poem called "The New Colossus" engraved on a plaque on the base of the statue*. The building of the statue began in 1876, in France. It was finally finished in America, in 1886. It stands on Liberty Island, New York. It is made from copper. Copper naturally turns green after a while, and this actually helps the statue from wearing away. Inside the statue is a flight of stairs that goes all the way up to the crown. The crown has windows that visitors can look out from. 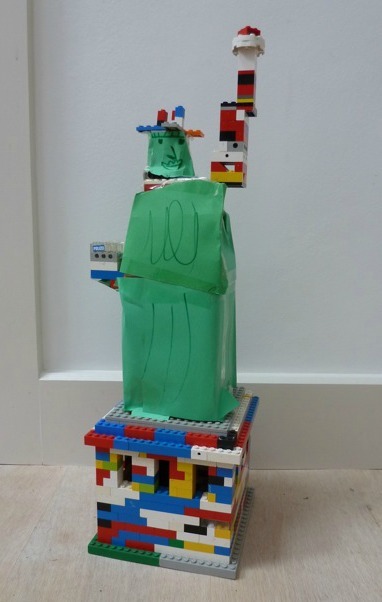 * Paul Perro's Statue of Liberty Poem is more fun.